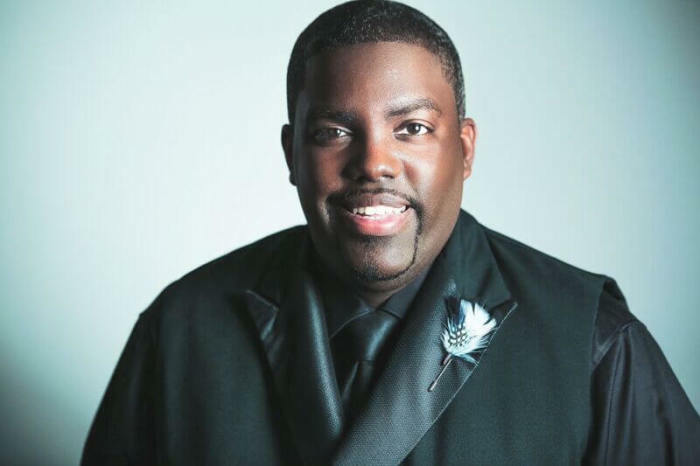 With access to well known producers in the Christian music industry, Pastor William McDowell is bypassing the industry standard and relying on the Holy Spirit to create his new album. The 39-year-old gospel music recording artist known for songs like "I Give Myself Away," crafted much of the music on his latest album, Sounds of Revival, while worshiping on multiple stages around the world. "We did a lot of what I call worship exploration. We explore what I call pregnant moments, which means moments in a service where it's clear that God is doing something in the room," McDowell told The Christian Post. "If we have a piece of something we always recognize that every piece of something is part of a greater whole, so we explore those moments to find out what the greater statement is. We explore a lot of moments on stages across the world and those songs were birthed in those moments." All of the songs on Sounds of Revival are special to McDowell, but tracks like "I Don't Mind Waiting" and "Send the Rain" serve as evidence of the Holy Spirit's presence when recording his latest album live at Bethany Church in Baton Rouge, Louisiana. "Both of those songs were birthed in worship, both of those songs were birthed onstage," the singer-songwriter revealed. "Both of those songs were birthed in front of other people watching, because God was saying something and doing something in the moment and those songs were birthed out of that." Other than fellow gospel music singer Travis Greene, McDowell looked beyond many of his well known peers and friends in the gospel music industry to feature up-and-coming singers on his fourth album. Sounds of Revival features his church's worship leaders Jose Garrafa and Trinity Anderson along with Taylor Poole who also travels with him to perform. Garrafa, McDowell's best friend, created the song "Reveal" during a worship service and helped McDowell write the rest of the track, making it a special one for the pastor. For the Grammy-nominated singer and lead pastor of Deeper Fellowship Church in Orlando, Florida, it was important to mentor the next new wave of gospel singers by including them in his latest project. "I know I could have gotten a lot of my well known good friends and they are anointed. But this is a specific intentionality to introduce the world to a group of people that I've been directly pouring into," McDowell said about the three singers he calls family. "I'm literally reproducing whatever it is I have in them so that it lives beyond me, because no person can do this forever. While we have the opportunity we need to pour into others and raise a platform for others." Still, raising that platform and creating new music to help lead others in worship around the world is not easy for the Ohio raised musician who got his start in the church playing drums at the age of 13. As a husband and father of three children with another one on the way, McDowell said he is presented with challenges when trying to record new music. His first album, As We Worship was recorded after McDowell took a year of solitude to hear from God and another year to respond. He wasn't married at the time, however, which has proven to present new challenges with each new record. While recording his second album Arise, McDowell was married with one child, and married with two children when recording his following release, Withholding Nothing. During the recording process for his latest album, McDowell had to find time to devote to being a husband and father of three children. "Anyone who is married with children understands that solitude and alone time are precious. So it's easy for me to say with As We Worship that I spent the year alone with God, listening," he said. "I don't have that luxury today. So what faith helps you overcome is that God has the ability to speak to you in every moment that you give Him, in every moment that you get away with Him." More than overcome those challenges, McDowell was able to utilize them to foster growth in his faith. "Really, it's compressed time where as I grow in my faith, as I grow in my knowledge of the Word, as I grow in my relationship with Him, I'm able to find access to the secret place quicker because I have to," he said. That growth is evident in Sounds of Revival, a soundtrack for McDowell's personal worship experience that he hopes will spark a global revival. McDowell's previous hits, such as "I Give Myself Away," "Withholding Nothing," and "I Won't Go Back" can still be heard in worship services throughout the world, but he is motivated to give the masses new songs to describe God. "The motivation in doing worship, and particularly songwriting in worship, is the pursuit of trying to describe an indescribable God. Worship is directly tied to revelation," McDowell told CP. "As God continues to reveal more of His character and more of His attributes, it causes more worship, so it's a never ending fascination with God and His presence. We'll spend the rest of our lives trying to come up with the words to match what we feel inside." Before Sounds of Revival is released on Jan. 22, McDowell is giving people a glimpse of his worship experience with a free stream of the Sounds of Revival DVD for 24 hours until midnight Friday, Jan. 22. To stream McDowell's DVD or get more information about his album, please visit: http://www.williammcdowellmusic.com/.